The battle between two-time Olympic gold medallists Vasyl Lomachenko and Guillermo Rigondeaux on December 9th at Madison Square Garden will be shown exclusively live on BoxNation. ‘The Channel of Champions’ will air the dream matchup featuring two men regarded as boxing’s greatest ever amateurs as part of the channel’s exclusive output deal with promoters Top Rank. In the paid ranks both fighters have burst onto the scene to dominate their respective divisions and have ambitions of climbing up the pound-for-pound rankings. 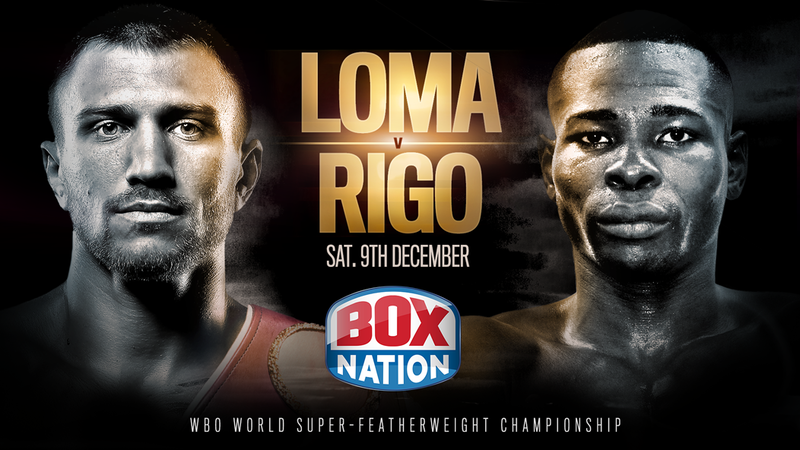 36-year-old Rigondeaux is the current WBA super-bantamweight world champion and will be moving up two-weight divisions to challenge for Lomachenko’s WBO super-featherweight world title. However, there will be more than just a title on the line as both are among boxing’s most skilled fighters, with Rigondeaux having persistently campaigned to get the fight, with the Ukrainian finally obliging as they look to give fans an early Christmas cracker. Undefeated Rigondeaux has 17 wins on his record and is known for his slickness, defence and accurate counter-punching. He has found it difficult to land big fights in the past but when he does has a history of causing an upset as he did when he overcame the then golden boy Nonito Donaire via a unanimous points win in 2013. 29-year-old Lomachenko though is a different threat all together, with many in the sport tipping him to dominate for years to come. He has looked sensational since turning professional in 2013 when he defeated Jose Ramirez by knockout in the 4th round. Lomachenko then went onto challenge seasoned professional Orlando Salido for the WBO featherweight world title in only his second fight, losing a close split decision. He has bounced back in spectacular fashion since that and has gone onto become a two-weight world champion already, with his most recent win coming against big-punching Miguel Marriaga who didn’t answer the bell for round 8. All attention now turns to New York City on December 9th with BoxNation being the only place for UK and Irish fans to watch how this intriguing battle plays out. Also as part of BoxNation’s Top Rank output deal the channel will show two undefeated rising stars in action when hard-hitting Jessie Magdaleno defends his WBO super-bantamweight world title against Cesar Juarez live on 11th November, with Russian knockout artist Artur Beterbiev taking on Enrico Koelling for the vacant IBF light-heavyweight title.